In 1890, Samuel Warren and Louis Brandeis published The Right to Privacy, a form of social commentary of their displeasure at the growing trend of news organizations using emotional appeals to gain readership, usually through the in depth coverage of small catastrophes such as burning buildings and the use of romanticism in the language when covering said tragedies. 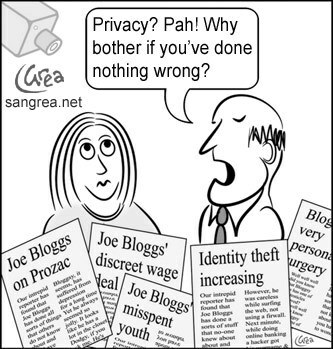 The Right to Privacy addressed various forms of sensationalism such as the use of private citizen's full names and addresses when covering local court cases and even the practice of news organizations purposely printing pieces that would incite resounding agreement from the general public for the goals of raising national support for war. Reddit quickly addressed the legal and social issues of publishing private citizen's information online when they updated their policy on the sharing of private citizen's information for any reason beyond a political or professional basis. Reddit's official stance states that "this includes links to public Facebook pages and screenshots of Facebook pages with the names still legible. We all get outraged by the ignorant things people say and do online, but witch hunts and vigilantism hurt innocent people and certain individual information, including personal info found online is often false. Posting personal information will get you banned." Reddit is quick to address any confusion about the difference between harassment and organizing social movements online as they clarify their position, explaining that "posting professional links to contact a congressman or the CEO of some company is probably fine, but don't post anything inviting harassment, don't harass, and don't cheer on or vote up obvious vigilantism." Although Reddit is usually very careful about strictly enforcing this policy there are occasions where the mob mentality of the internet and crowds surpasses the ability of the administrators to control the sharing of private names. 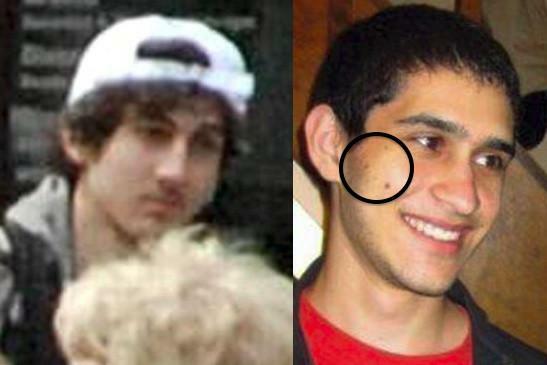 Just this past month Reddit decided to publicly apologize to the family and friends of one such victim of witch hunting, missing college student Sunil Tripathi, who was wrongfully associated with the terrorist bombings in Boston. 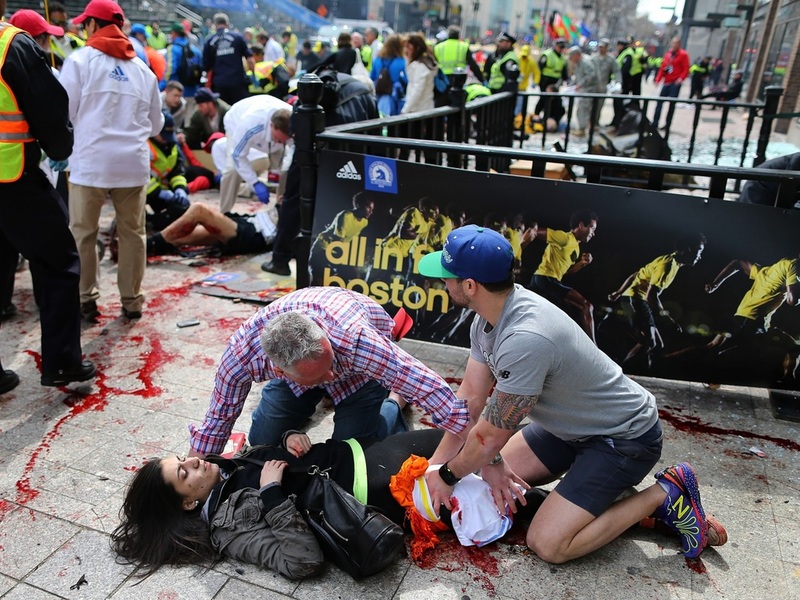 Reddit's official apology on their blog came after about 272,000 users on the site, with 85,000 in the /r/news update thread alone, speculated on possible suspects of the bombings by compiling and analyzing various clips and pictures of the marathon and resulting aftermath. Reddit said "we want to take this opportunity to apologize publicly for the pain they have had to endure. We hope that this painful event will be channeled into something positive and the increased awareness will lead to Sunil's quick and safe return home." Reddit also provided the appropriate links to charities and organizations that were responsible for raising aid for the victims of the national tragedy. But why was it that this bombing caused such an uproar within the online community to register the second highest number of simultaneous online users in Reddit's history, second only to that of President Obama's Q&A? Continue on to the next section, "If it Bleeds, It Leads", to find out more on why we respond so fundamentally to tragedies such as these.